Marvel Studios released the Avengers: Endgame trailer yesterday and MCU fans all over the world celebrated. However, when people started searching for more information, it was revealed that visitors to the URL AvengersEndgame.com were seeing something that has nothing to do with the Avengers. The site simply redirects to Fox's Once Upon a Deadpool promotional site. Obviously, this seems exactly like something that Ryan Reynolds would pull off, but it appears that he is not the one behind this particular prank. So who is responsible for the highjacked website? A Twitter user is taking credit for the Avengers: Endgame URL switch up. He apparently bought the domain back in April when Infinity War was released, claiming that he knew the title back then. The user is asking for two passes to the world premiere in exchange for the domain name, which makes it seem like this person more than likely read up on all of the speculative titles and bought up some domain names for cheap. However, Disney and Marvel Studios have yet to get in contact to purchase the domain, which means that they probably don't care at this point. The Twitter user was asked if he was Ryan Reynolds, and he says that he is not, but refused to reveal his true identity. Whatever the case may be, it's an excellent prank that pairs well with all of the Disney and Fox news going on. Plus, it's an awesome way to promote Once Upon a Deadpool, the PG-13 version of Deadpool 2, which hits theaters next week. While Reynolds might not really be behind it, he's probably pretty proud that someone would go through the trouble of buying a domain name to promote the Merc with a Mouth. 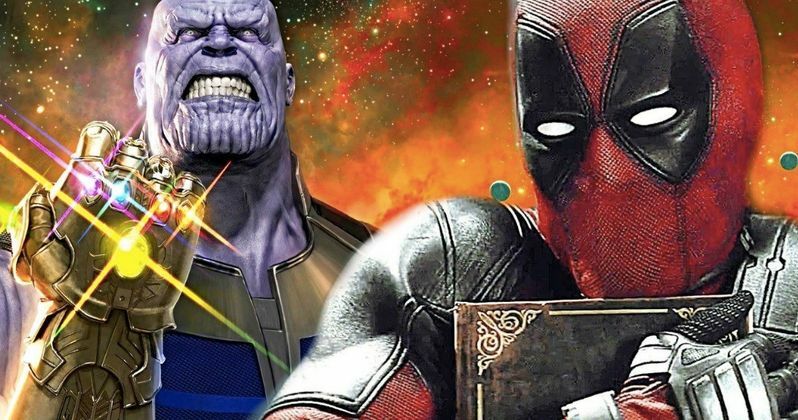 Disney is in the process of taking over much of Fox, including the Deadpool, X-Men, and the Fantastic Four franchises, which has been a bit controversial. The idea of even the possibility of the Merc with a Mouth being censored is too much for some to handle, even though that hasn't really been talked about. Once Upon a Deadpool will reveal if Wade Wilson can still deliver the goods in a PG-13 format, and from the promotional material that has been released so far, it looks like he can. As of this writing, you can head over to the Avengers: Endgame website and still see the Once Upon a Deadpool trailer. It doesn't look like Marvel Studios or Disney really cares about the domain name, and to be honest, they really don't need it. The trailer spread across the internet swiftly yesterday morning, amassing over 43 million views in just over 24 hours. Once Upon a Deadpool is also doing a pretty good job with its promotional material as well, but not up to those numbers. You can head over to Avengers Endgame to see the Deadpool promotion and check out the tweet asking for passes below.